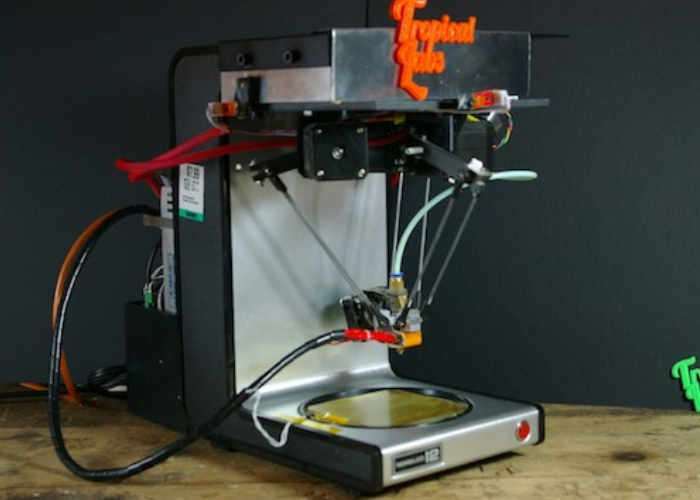 Makers thinking of building their very own 3D printer may be interested in this unique and interesting project which has transformed a coffeemaker into one such 3D printer. The heavy duty coffeemaker provides a suitable framework to build the mechanics of the 3D printer onto using a Delta printer design to provides the mechanical designs and Arduino to provide the electronics and control systems. Watch the video below to learn more about this interesting project which has been published to Hackaday. The Arduino Blog explains more about the project which is available via the Hackaday website. Heavy duty coffee makers are good for, well, making coffee. On the other hand, if you were to look at the frame without the preconception of what it can do, you might notice that there is space on top where equipment could be attached, and space on the bottom with a built-in heating pad on which to place an object… in other words, a perfect 3D printer frame! Tropical Labs realized this, and turned the ordinary household appliance into a delta printer with three steppers for motion and another to feed the printing media. An Arduino Mega serves as the brains of the operation along with a popular RAMPS 1.4 shield.